Ghost Hunting: Some Haunting Information. "All a skeptic is is someone who hasn't had an experience yet. " Ghost hunting is an activity that draws the interest of both professional paranormal investigators and the novice who is simply interested in researching and experiencing haunts firsthand.It is an interest of those who are attempting to gain an inside understanding of both life and death. Many of the people who pursue this interest do so on the notion that there is potential answers to the lives that each of us experience with the spirits that walk in the plane outside the physical world as we all know it. Ghost hunting can be exciting, and many things can be learned that can give us, the living, hope for the “thereafter”. 1. The first, and often considered the most common type of haunting, is the “residual”. This is your basic “ghost”. Many different experiences may occur when it comes to this type of spirit. You may hear a voice, or a noise of some other kind. Many even see apparitions when they experience this type of haunting. It is believed that this type of ghost is not the type that will attempt to interact with the living. This is nothing more than a simple imprint of energy that the deceased left behind when they were living. 2. The “intelligent” haunting is the next type of haunting that an individual may run across when they are exploring various types of haunted places. These hauntings are particularly interesting, and relatively rare to be honest. If you experience this type, you will come to see that there is some knowledge and social ability with this type of haunting. 3. Poltergeist haunting is the next area of types of hauntings in general. This is a frightening type of haunting due to the fact that these spirits have the ability to interact, and manipulate. 4. Demonic haunting is the next type that may be experienced. These hauntings are particularly frightening because many problems may occur. These problems may even include physical and emotional harm. These spirits are not looking for something in particular, or even someone. They are sent to cause anguish and grief to the person that is haunted by them. 1. A standard camera. Cameras that are considered to be “35MM” seem to be favored among others when it comes to professional ghost hunters. 2. Digital cameras and digital video recording equipment is another important set of tools that can prove to be quite handy in capturing supernatural events. 3. Digital recorders that focus on obtaining audio pieces are also a very important tool. 4. 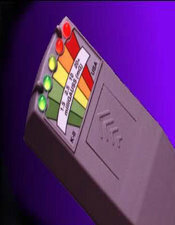 A wonderful piece of equipment for ghost hunting trips is the “EMF”, or “Electromagnetic Field Detector”. This tool helps you to identify areas where there are fluctuations in the energy fields around you. If there is a drastic increase in the energy, you may be in an area where there is a haunt occurring. 5. Equipment that identifies thermal reflections is also an important choice when you set off on your own hunting experience. There are several other tools. You will learn more about them here. Ghost hunting is an exciting endeavor. If you are a professional ghost hunter, in training to be a professional, or just someone with a bit of interest in ghosts, you will find the information contained throughout these pages to be highly informative and beneficial to your needs!